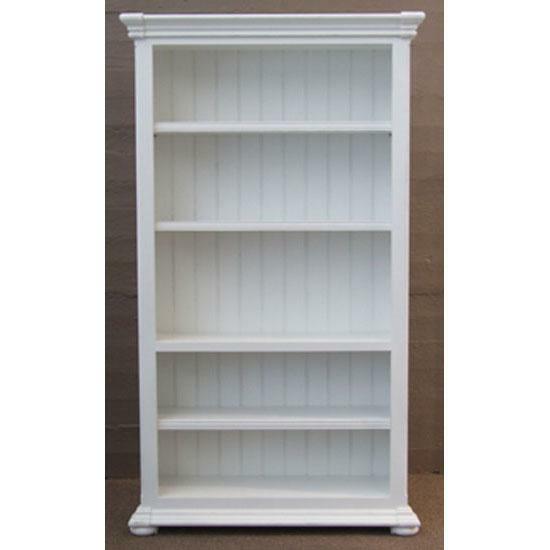 This solid wood Bookcase comprises of 4 adjustable shelves finished in a rubbed French white finish and can be joined to another PBBR or to a PBBT without gaps to create a library. 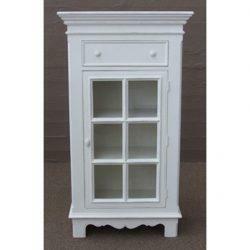 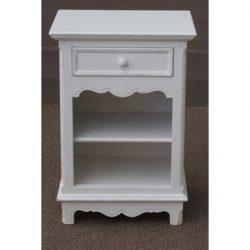 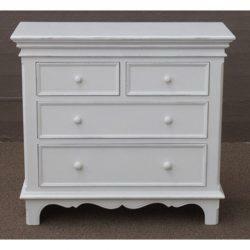 This solid wood Bookcase comprises of 4 adjustable shelves finished in a rubbed French white finish. 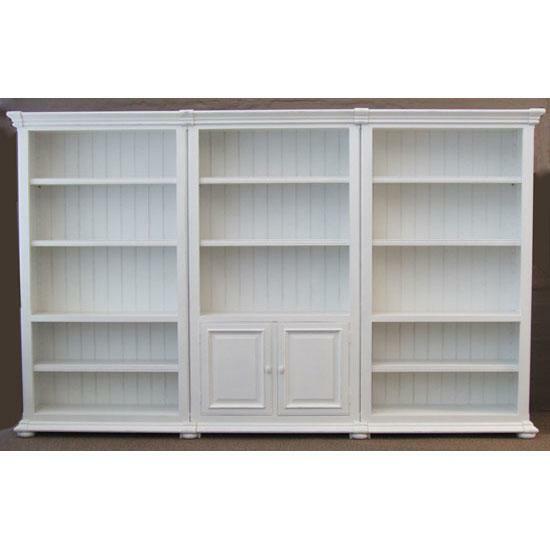 This versatile and functional piece is lined with a tongue and groove detail and a removable top trim that will allow the bookshelf to effortlessly fit into a variety of décor styles. 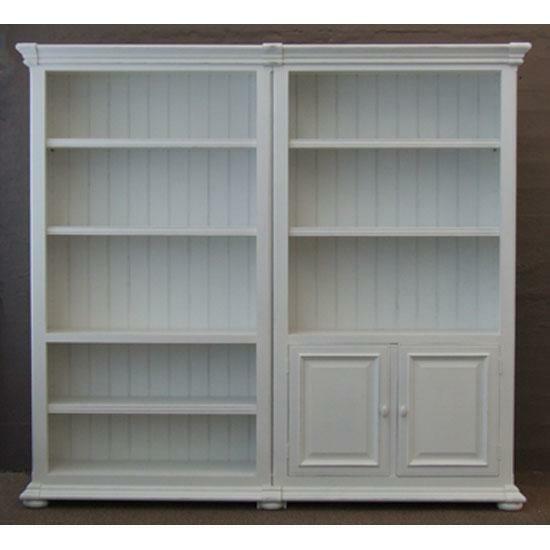 Can be joined to another Open Bookcase or to a 2 Door Bookcase without gaps to create a library. 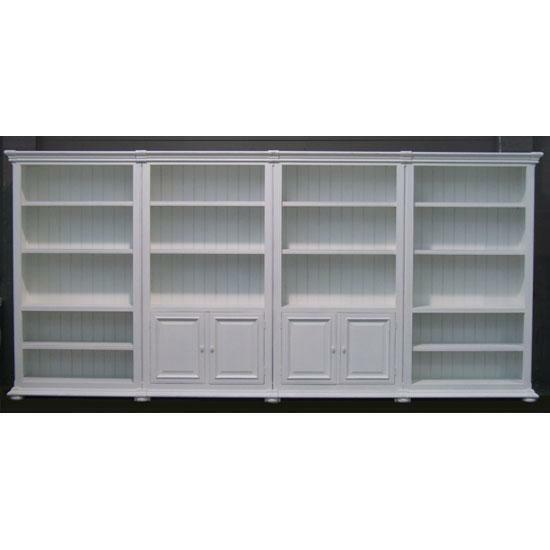 Special fittings supplied to complete multiple joinings to create the modular library style setting. 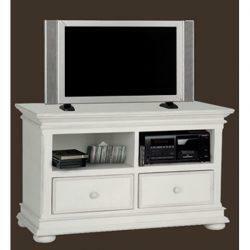 (2 boxes) with PBBY joiners or PBBZ corners included.